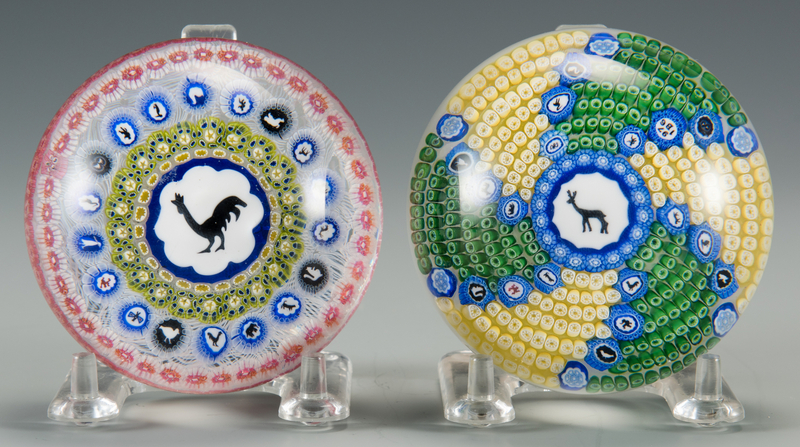 2 Baccarat Gridel Paperweights, Rooster and Deer. 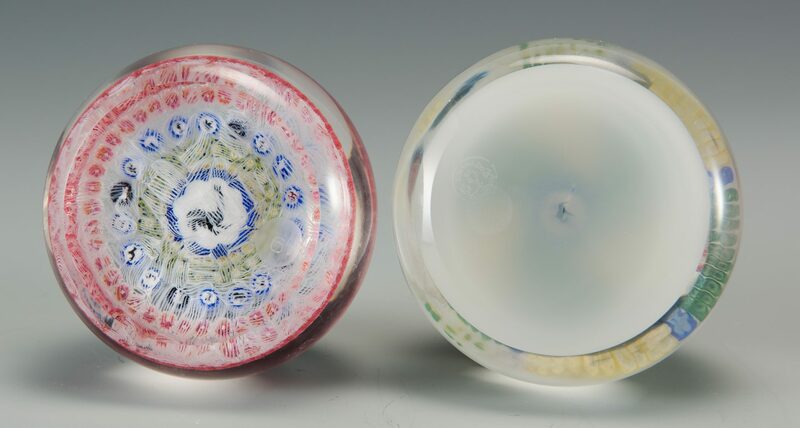 1st item: Gridel rooster paperweight with a central rooster cane, surrounded by concentric rows including the 18 different Gridel canes. On upset muslin ground and etched "1971, #6" on bottom. 2nd item: Gridel deer paperweight with a central deer silhouette cane, with twisted panels of green and yellow canes separated by radiating spokes with the other 17 Gridel canes. On frosted ground and etched #7 on bottom. 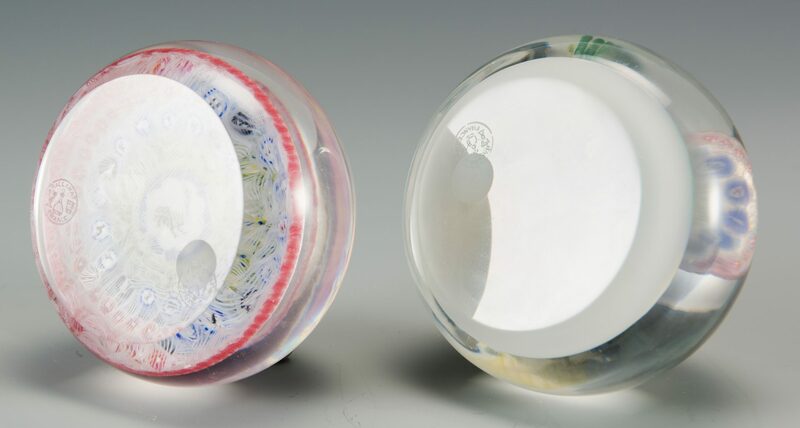 Both paperweights are etched "Baccarat, France" on base. Each 3 1/8" dia. CONDITION: Both in excellent to very good condition.